This paper proposed a study of the performance of various configurations of AC-DC converter in piezoelectric raindrop energy harvester (PREH). The output voltage generator from PREH produced a damping behaviour with variable amplitude AC voltage. To overcome this problem, AC-DC converter is used to produce a steady output voltage. In this study, an individual component in PREH that contributed to the performance of AC-DC converter was investigated. Firstly, the performance of a different type of configurations for Polyvinylidene fluoride (PVDF) piezoelectric in PREH was analysed. Then, the study on different types of diode used in the power converter circuitry was conducted as well as various capacitance value to investigate the output VDC generated. The results demonstrated that a consistent VDC above 1.2 V was observed for the proposed PREH. Hence, PREH system has the potential to be implemented in low power application. 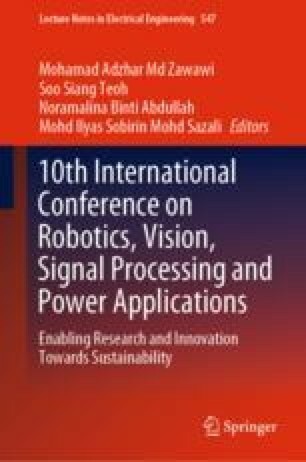 This work was supported by Bridging Grant, Universiti Sains Malaysia, 304/PELECT/6316125.